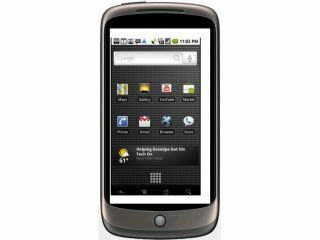 HTC looks set to dramatically change the hardware in the Google Nexus One, and possibly the HTC Desire, later this year. A report on KT, the Korean network, stated that HTC was about to make the switch from Samsung's OLED screens to Sony's Super TFT LCD. "Google Nexus One, which will be produced after July will be equipped with SCLD (Super TFT LCD) and sold worldwide," said KT according to the Korea Herald. The change was brought about after Google and HTC decided to 'change the production standard' of the Nexus One - although no word was given about the future of the HTC Desire, which uses the same OLED screen. According to US network Verizon's CEO, the Samsung is having trouble supplying enough OLED screens for HTC's handsets, which could explain why HTC has made the dramatic switch in hardware terms. Apparently the Super LCD TFT offers a higher resolution and lower power consumption than OLED, although surely as it needs a backlight it will be a little thicker? We'll be interested to see if there's any perceptible change in the design of the Nexus One in the near future - but we'll bet that most consumers don't notice the change (providing the cost stays down).